Where you do live and work? Comment below! Lots of founders wear sleep deprivation like a badge of honor. Eli Luberoff thinks this is silly and has implemented a “don’t come to work tired” policy at his company, Desmos. In this video interview, he explains how rested employees are more productive. Source: Don’t be a startup martyr, get some sleep! — Tech News and Analysis. 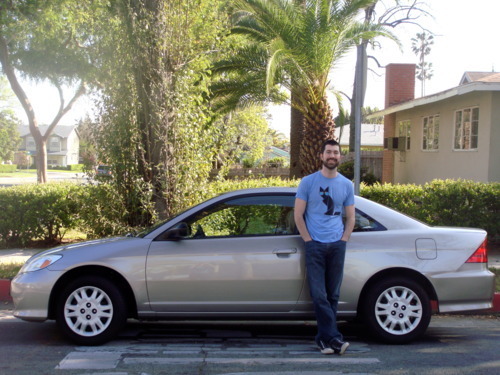 In two days, I will leave my cushy life in Los Angeles to live from my car in Silicon Valley. Yep, that’s right. From my car. It’s going to be one of the most adventurous things I’ve ever done, and will be a challenge to say the least. Why am I doing it? Trust me, a lot of serious thought went into this decision. The main reason being that the Bay Area is the center of the startup universe, and I know that locating there is best for both my startup and me as an entrepreneur. That being the case, I’m going to do whatever it takes to be in that environment. Source: A Man, a Car and His Startup • A Man, a Car and His Startup. During two years of business school at Stanford, I wrote down the best advicefrom our professors and lecturers. This advice is from my favorite teachers and lecturers, including Andy Rachleff, Mark Leslie, Irv Grousbeck, Joel Peterson, Eric Schmidt, and many others. Admittedly, a lot of this is focused on technology industry, but much is generally applicable. Thought it might be interesting to others. Be likable. People who are liked have the wind at their backs. So be liked. The outcome of a negotiation is largely a function of your alternatives.Know your next best option. The best scientists can explain complex issues in simple terms. Pretty good scientists can explain complex issues in complex terms. When considering a business opportunity, look for change. What inflection point are you taking advantage of? Without change, there is rarely opportunity. Learn to relax. Often overachievers are passionate about many things. Yet it’s important to learn not to always care so much. Try being indifferent to things that aren’t that important. While it’s an oh-so-predictable event, many job candidates aren’t prepared to shine when they reach this final test in the interview. Failing to ask any questions or asking the wrong questions can send the wrong signals. Stephanie Daniel, senior vice president of career management company Keystone Associates, spoke with us about her thoughts on how job interviewees can take control of their next job interview by asking the right questions. Read on for her thoughts on what to ask and which questions to avoid when it’s your turn to interrogate. When the interviewer gives you the opportunity to ask your own questions, be prepared. Daniel recommends that interviewees prepare five to seven questions, with the expectation that there will probably only be time to ask just three. “Keep in mind that some of the questions you might have prepared will be answered during the course of the interview, so it’s always a smart idea to have back-ups,” says Daniel. Is there a work issue that keeps you up at night and, given what you know about my background, how do you think I could help? What is the most gratifying aspect of the work you do for XYZ company? What’s your best advice to someone starting out at this company? Could you describe your ideal candidate for this job? Why are these qualities important to you? I’m sure you have a number of goals you’d like to achieve in the coming year. Do you have a particular one that is top priority? Other great questions may revolve around key drivers for employees, what characterizes top performers at the company and whether the interviewer would like to know anything more about the interviewee’s background, says Daniel. Could you tell me about your work/life balance policy? “A valid question, yes, but if you ask it too soon, it might appear that you are more concerned about the work schedule than you are about the actual work,” says Daniel. Is there a possibility I could work remotely? How long do people typically stay in this position before they move on the next role? How Many Paid Vacation Days do the Big Tech Companies Give to First Year Engineers? What you have done? Then walk me through what you done with your career. Tell me what you think this job is all about? Do you want to work at this company or do you just want a job? Why do you want to work here and what do you love? What you have done that really proud of and tell me about it? Can you describe a decision you made, or a situation you were involved in, that was a failure? How you dealt with it? If you have to name something, what would you say it the biggest misconception that people have of you? If I had four of your direct reports sitting in a room, how would they describe you? If I had four of your late bosses in the room, how would they describe you? What makes you really mad? Can you tell me somebody’s intelligence just by reading what they have written? On your deathbed, what do you want to be remembered? Wherever you worked before, what made it a good day? What is your attitude on a one-to-ten scale? Give me an instance where you really believed in something and you were able to change the course and it was successful, whatever it was? Tell me the few books that you read in the last two years? Who are the best people you recruited and developed and where are they today? If you could be in my shoes today, what would be the top three things you would do? What success did I experience? What challenges did I endure? What do I plan to do — differently or the same — tomorrow? Anyone I need to update? Thank? Ask a question? Share feedback? How Many Vacation Days Per Year Do Early Stage Startups Typically Offer to Employees? Job: Product ManagerAnswer: This is one of those questions Google asks just to see if the applicant can explain the key challenge to solving the problem. Which sounds ludicrous. I would have spitballed no more than 100k. But I stand by my math. What Does Your Resume Look Like Visually?